The 73rd United Nations General Assembly (UNGA) is currently taking place in New York. Various heads of states, ministers and activists have been meeting to discuss the current problems which are facing the world. One important event that will be happening at UNGA is the first ever High-Level Meeting (HLM) on Tuberculosis. The South African government have been instrumental in getting this meeting. The Daily Vox team takes a further look. In 2001, the World Health Organisation (WHO) established an organisation called the Stop TB Partnership Board. The board was supposed to be responsible for implementing policies around the programmes which were fighting TB. In 2016, in his capacity as the chairperson of the programme, Motsoaledi was invited to participate in a HLM meeting on antimicrobial resistance. Motsoaledi writes he found it concerning that the UN would discuss antimicrobial resistance and yet would not talk about TB. It was the South African mission to the UN led by ambassador Jerry Matjila who then mobilised various countries to support this call for the meeting which took place. In June, this year the South African government held the 5th TB Conference in Durban, KwaZulu Natal. The focus of that conference was on tracking the missing TB patients. Deputy President David Mabuza said the undiagnosed TB person constitutes a mobile and invisible infectious pool of people that unknowingly spread the disease to others including children. The declaration commits to providing diagnosis and the successful treatment of 40 million people with TB from 2018 to 2022 including 3.5 million children and 1.5 million people with drug-resistant tuberculosis. Other commitments include better research, sustainable funding and better strategic plans and collaborations to fight the disease. The declaration states that the heads of states and governments who are gathered at the UN will at the UN reaffirm their commitment to end the TB epidemic by 2030 in line with the Sustainable Development Goals (SDGs). Additionally they pledge to accelerate national and global collective actions to fight the preventable and treatable disease. The declaration also recognises that TB affects populations in-equitably with those living in poverty and with ill-health are at the greatest risk of the spread of TB. Many things were left out of the final draft of the declaration including national targets for high risk populations such as prisoners, miners and children, timelines for new innovations such a pill-based regimens for TB. Other things that were left out include an independent accountability mechanism outside the UN system to ensure future engagements by heads of states. According to the WHO, TB is the top infectious killer in the world. In 2017 alone 1.6 million people died from TB including 300 000 people living with HIV. (Human-Immunodeficiency Virus) TB is the leading killer of people with HIV. Additionally, in 2017 10 million people fell ill with TB. from that number 6.4 million people were officially recorded by national reporting systems while 3.6 million people were detected but not reported. The WHO has said that better reporting,diagnosis and access to care will close that gap. The report found that the geographical disparity of TB was very wide with over 500 cases per 100 000 people found in countries like South Africa, Mozambique and the Philippines. While on the other hand in high-income countries, there were fewer than 100 cases per 100 000 people. During the release of the Global Tuberculosis Report,Â earlier in September, the WHO revealed that countries are not doing enough to end TB by 2030. The report showed the around the world, the number of cases of TB were falling too slowly to be able to meet the targets set by the WHOâ€™s End TB Strategy. Doctors Without Borders (Medecins Sans Frontieres-MSF) says while they commend the South African government on their actions they have taken to fight TB, much more needs to be done. MSF have called on the South African delegation to declare ambitious national targets to reduce TB mortality within five years. â€œ78â€™000 people in South Africa died of TB in 2017, and while this is fewer than estimated for the previous year TB treatment coverage remains low at 68%, meaning that up to one third of all people living with TB are being missed. New case finding strategies are required to ensure that all those with TB are identified and placed on treatment quickly,â€ said Dr Amir Shroufi, medical co-ordinator for MSF in South Africa. MSF have also called on the government to commit to mobilising scientific communities and to increase funding for TB research and development. Additionally they want a commitment that the government will use all available mechanism to ensure equitable and affordable access to medicines to fight TB. 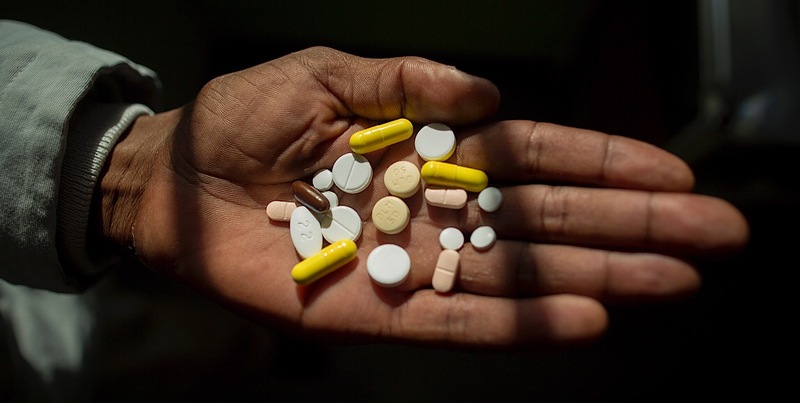 â€œSouth Africa has done well to improve the DR-TB treatment regimen for adults and adolescents, but new strategies are urgently needed for ensuring that younger children have access to better treatment. This situation would be improved in the very short term by the registration of delamanid, which has proven to be safe in the paediatric population,â€ said Dr Justine Fargher, MSF DR-TB doctor in Khayelitsha. Featured image via Simphiwe Zwide and MSF.